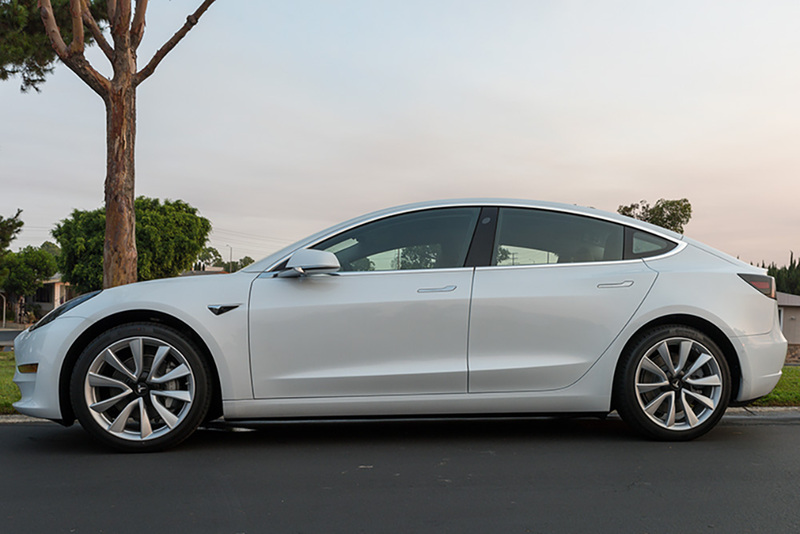 Boards : Executive Leader Coach @ dbkAssociates, Inc.
A new Model 3 in our neighborhood. Tesla is in the news these days. Mainly because the majority owner, CEO and COB, Mr. Elon Musk, started a firestorm on Twitter. From a startup point of view I find this company to be quite impressive. I now see a lot of Tesla vehicles in the wild. Ramp up of Model 3 seems to be out of production hell with the factory (both battery and car factories) meeting the 5,000 per week goal. A board of directors is a recognized group of people who jointly oversee the activities of an organization, which can be either a for-profit business, nonprofit organization, or a government agency. Such a board’s powers, duties, and responsibilities are determined by government regulations (including the jurisdiction’s corporations law) and the organization’s own constitution and bylaws. Now, I have some sympathy (and not so much sympathy in some respects) for Mr. Musk. He’s trying to lead three (at least) very challenging startups all at once. My criticism of him is that he seems not to be willing or able to take care of his own health and well-being. As leaders we’re not able to lead if we’re incapacitated by lack of sleep, poor delegation and/or poor health. Mr. Musk’s lack of self-awareness aside; where is the leadership and oversight of the Tesla Board? Boards of directors are supposed to provide guidance, oversight and leadership to fill their fiduciary responsibility to the owners and stakeholders. The firestorm was caused by a Twitter post (there seems to be a flood of such problems these days) in which Mr. Musk indicated that he was thinking of taking Tesla private. Now that in and of itself is not much of a problem. Personally, I applaud that move. What seems to be creating a problem is that he went on to say “funding secured.” Apparently it wasn’t. Whether public or private, again I reiterate that boards of directors are supposed to provide oversight, guidance and leadership to the executive team. The CEO reports to the board. True, when private, there are generally fewer shareholders to consider. Yet stakeholder considerations are still required and are, in my opinion, the responsibility of the Board and the leadership team it tolerates. I have no inside knowledge or easy way of knowing if the Tesla Board did any kind of management by walking around. How were the employees doing? Were they obviously burned out? Were they showing signs of stress? It appears from public reports that they were concerned about Mr. Musk. Was he carrying stress to the whole organization? I don’t necessarily believe that big corporations are inherently bad. Still, we can all name the bad actors and they are usually large corporations. I lay that responsibility at the doorstep of the Boards. They have lost control of the organization. Perhaps that indicates that at some point, a company gets to be too big to realistically enforce the supposed values of the organization. If we were of a mind to, how would we limit the size of a company? Would it be based on revenue? Market share? Number of employees? Number of viable and real competitors (don’t get me started on broadband competition in this country)? I don’t have an answer. Perhaps it’s case by case and a serious evaluation of all the criteria mentioned above. Who does that? SEC? I believe that a strength overused becomes a weakness. In our capitalist economy, allowing companies to become so large they are monopolies or duopolies is a weakness. It stifles competition. The larger companies can afford to take on the cost of regulation and thereby block the entrance of new competitors. Often, regulations are the results of the larger companies acting in a way that is not in their stakeholders’ best interests. They pay their fines, manipulate the regulators through their lobbying efforts and celebrate the roadblocks they have put in place for new competition. We’ve seen it happen over and over again. Yet we chose not to respond. To my mind, the conundrum is; How do we strengthen our capitalist economy while protecting consumers (the foundation of our system)? I am beginning to believe that the only way we can do that is by limiting the size of companies and making sure there is plenty of real competition. I guess the next step is to figure out how to do that in a fair and equitable way.